Children who have experienced the loss of a family member may not understand the concept of death, or what happens to their other relatives while they are grieving. These are issues many adults find difficult to comprehend or accept. A child's level of understanding depends a great deal on their developmental stage. Any child may slip back into a previous stage to deal with the situation and any information they are learning from adults and other children around them. Adults may behave in ways that children have not seen before, and discussions may range widely into topics that we would otherwise not talk about in front of them. Bedtimes and mealtimes are often disrupted, taking the comfort of routine away from children and adults alike. 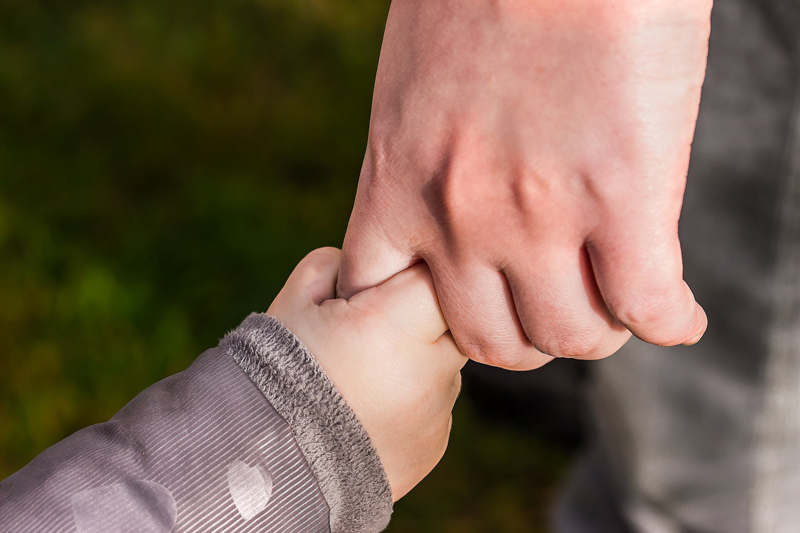 Some family members may feel strongly that children participate in every part of the bereavement process, and others may believe that children should be shielded from it or at least that the information and experiences for each child can be controlled. It's also possible that in the first hours and days of bereavement, adults can regularly forget that children are present or listening. Children may be very quiet, frightened and confused, although they seem only mildly interested in the unusual situation. Sometimes children ask questions that sound as if they could understand responses to what the words in the question prompt adults to say. It could be that the answer the child seeks is that they will always be cared for, safe and loved, and they may need to hear that answer many times no matter what question they ask. Professionals, and talented amateurs, can often answer such questions with responses that are appropriate to what the child needs to hear. This is much more difficult to do if the professional or other concerned adult is experiencing bereavement at the same time. Most people are 'good enough' at comforting children to make an attempt. Smiling or simply acknowledging a child in a welcoming way can be very reassuring to them. Although I recommend that parents and other family members find books in the children's section of their local bookstores, libraries or online retailers, this is a time when direct communication between family members is most important. The best way to reassure children that they will still have abundant affection, good care, safety, and loving companionship into the future is to provide it when it is most inconvenient to do so. It can be comforting to take the time to sit down with children, to read stories or watch their choice of DVDs or videos, to play games or watch them at play. Children may need extra attention just when the caregivers closest to them are overwhelmed by other responsibilities and difficult tasks. Just as adults can go through stages of grieving in different ways, children can take different routes through their own initial periods of bereavement and long term sense of loss. We all need patience and reassurance during these times. Children may see adults acting out difficult relationships that have not been resolved since they grew up, and may find it difficult to understand rifts in the family that occur following the loss of a loved one who acted as a connector for everyone else. This can initiate a second cycle of grief in itself. Previewing children's books that deal with issues of grief and loss can often give us a better idea of our own family ways to respond to, if not explain, death and bereavement to our children. We do the best we can with the resources at hand during the worst of times as well as the best. Browse at your local bookstore, library, or online retailers for titles like: When Somebody Dies - Books Beyond Words , Grandpa Green, or Healing Activities for Children in Grief .